Sometime at the end of your busy day the colour of dark sky reminds you of your love. All you want is a quiet time with your partner and the twinkling stars are the icing on the cake. 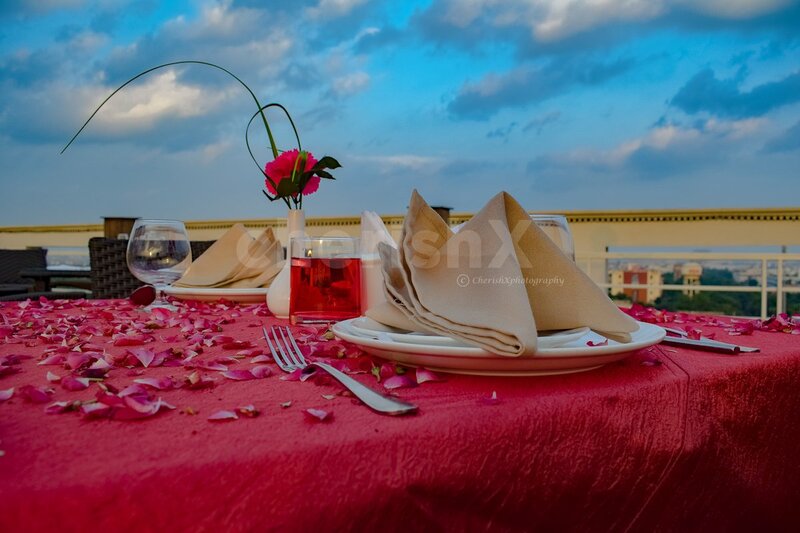 To help you fulfil your wishes, we are here with a remarkable evening especially designed for you and your partner. 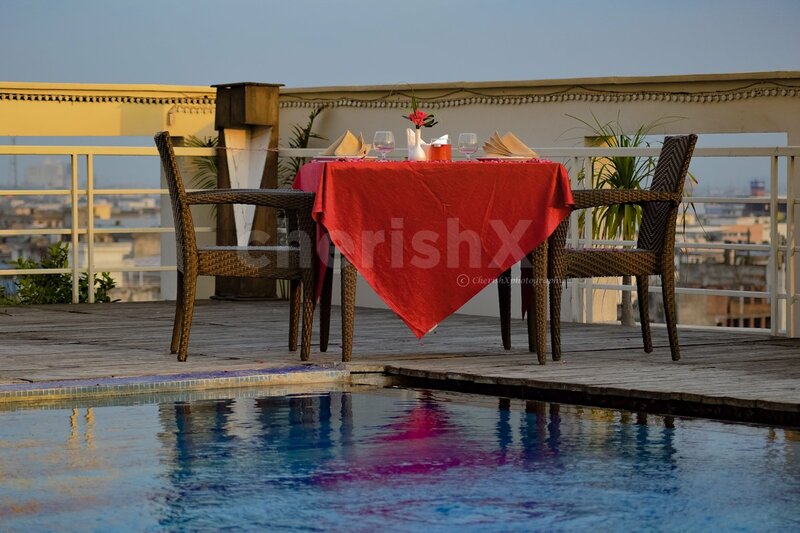 A semi-private rooftop dinner set with exquisite pool view and meals. 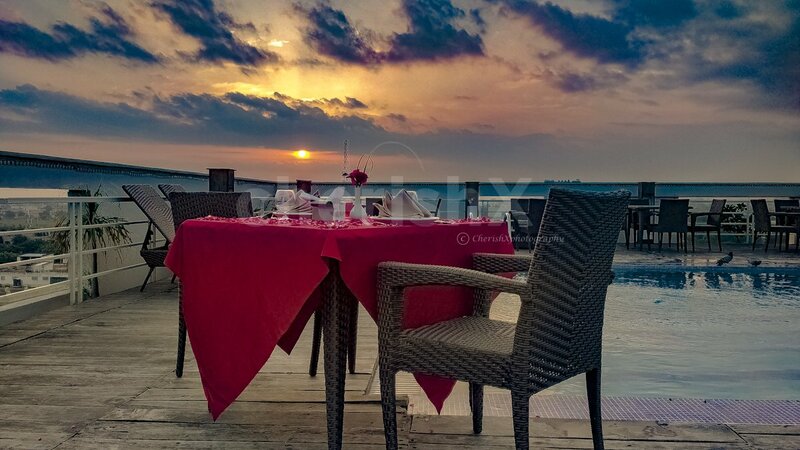 A modern bistro set in the lush landscapes of Marigold with the heart-warming dinner setup is as close as you can get to nature. Other than its unique location, the venue also offers a unique menu. 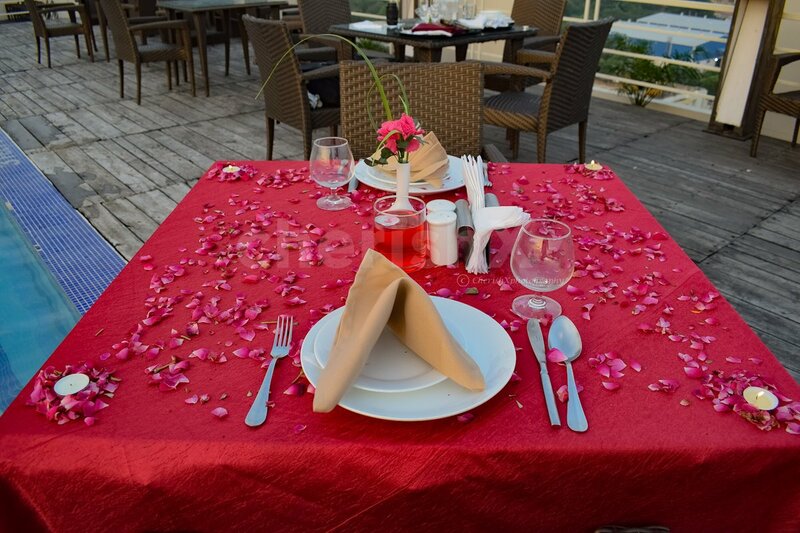 Your personal butler will be at your service to ensure that you enjoy the flavourful 3 course meal while giving your undivided attention to your partner. 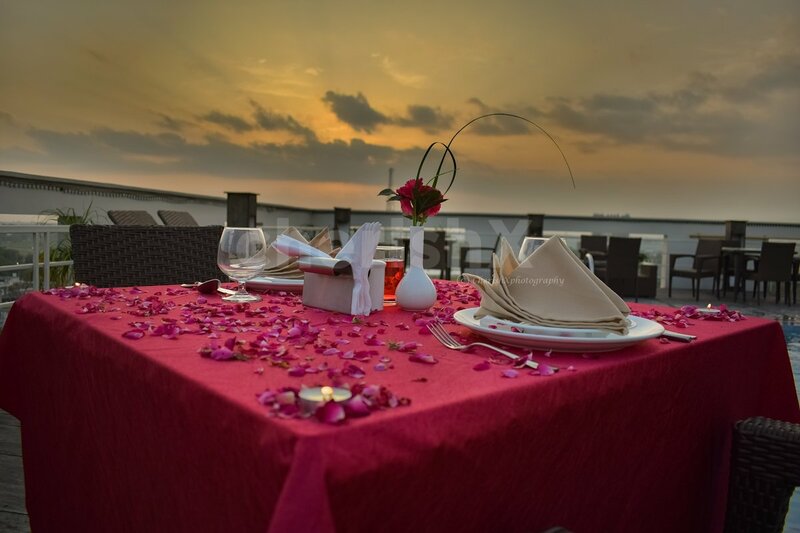 Starting from the welcome drinks and ending at desserts that melt in your mouth, the evening spend will be a witness to your deep affection for each other. 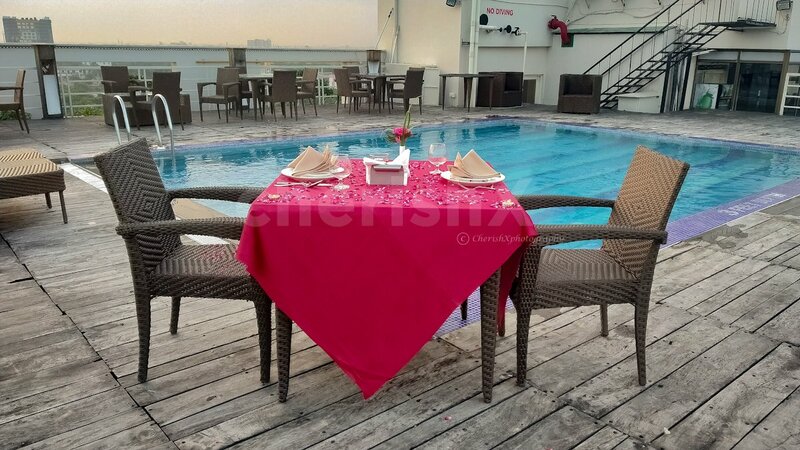 The ambience is so quiet and serene you’ll have to remind yourself that you’re still in the Pink City. 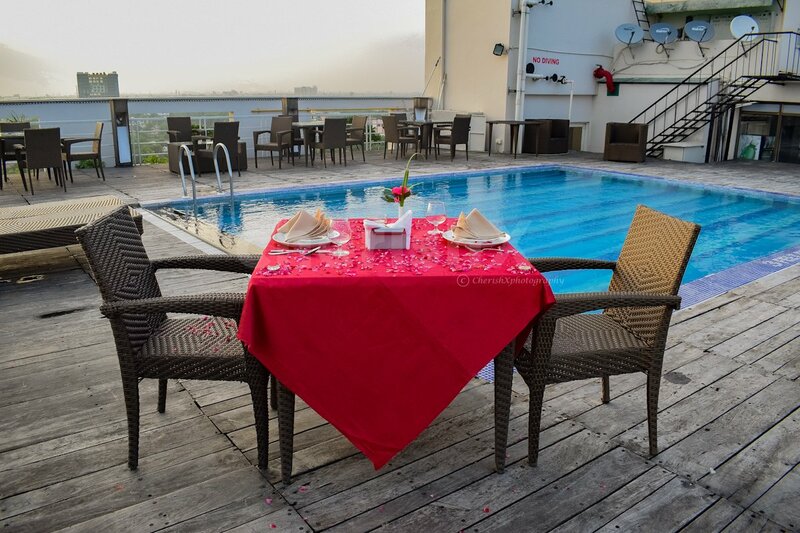 Set atop of one of Jaipur’s finest hotels, you’ll be treated to an undisturbed view of the Poolside, good service, tasty food and best of all, very peaceful location. For your special occasions like birthdays and anniversaries you can look for unique customisations. Order a cake, flower bouquet and even a capturing performance by a guitarist just for your loved one.